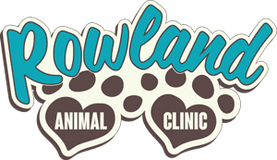 We value our clients' experience at Rowland Animal Clinic. If your pet or animal is currently a patient, please feel free to complete the following Client Experience Questionnaire. The Questionnaire is in Adobe Acrobat format, and requires the free Acrobat Reader to view. "Yesterday we had to make the agonizing decision to have our dog, Gibson, put to sleep. Dr. Rowland spent about 2 hours just talking to my husband and I. When we were finally ready, he was so kind and caring to our little buddy. He let us stay in the room. Once our little Gibby was gone, he never once rushed us to leave the room. Thank you from the bottom of our hearts, Dr. Rowland, for taking such good care of Gibson all these years. And thank you for being such a kind, caring, and compassionate man. Thank you for the gentleness you showed Gibby at the end. You are a remarkable man!!" "Doc Rowland and his staff are absolutely amazing!!! Today he took the time to see me and my 12 week old foster puppy before his surgeries, we were concerned about some issues she was having with her furever family and he eased my concerns as always!! I foster for a rescue and he has seen all my fosters and taken care of them as if they were his own. I also have my own fur babies who I wouldn’t trust with anyone else. He’s so knowledgeable and caring and he always puts a smile on my face � Simply put I just � that man!!" "Thank you Doc Rowland for your heart of gold for pets and your seemingly top notch experience and recommendations for our furry friends. The office staff has always been very nice too. You care and it shows in your practice. <3 much appreciated"
"Dr. Rowland and his staff are amazing! They saved the life of 2 of my dogs. Over New Year's this year my 8 month old puppy nearly died and Rowland was a godsend. 5 years ago it was recommended that we put our other dog down and I saw him for a second opinion. He knew within 2 minutes exactly what was wrong with her and had her back to healthy within a week- all she needed was a $20 medicated shampoo. We will never go anywhere else." "I have been going to him for over 15yrs, he is the best veterinarian ever! He cares as much about your animals as you do!!!! Love you doc!!!" "Dr Rowland and his staff are awesome! They got me in same day and very fast for my dogs emergency surgery on her foot. Doc really takes the time to sit and talk about all your questions and concerns. I really appreciate everything they do! Thank you!!" "Doc has and will always be the best, most caring and honest vet you could ever hope to have for your family pets and a friend. I know we've missed not being close enough to take our fur baby yorkies to see him as he always went out of his way to take care of them." "Amazing staff and an amazing Doctor. You can tell how much he cares for the pets that walk through the door. Was nervous about my JRT not being too friendly with strangers and he assured me he understood the nature of the breed which made me feel a lot better. Was kind and gentle and very upfront about everything. Definitely will be coming here for all my pets needs from now on." "Doc and his staff is awesome. Been going to him for nearly 30 years!!!" "Dr Rowland and his staff genuinely love their patients and what they do. It is obvious when you walk in the door. The best care at fair prices. All my pets have loved Dr Rowland." "Dr. Rowland is the absolute best. He cares very much and won't BS you about the treatment or condition of your animal. I've brought all of my pets here as well as my parents' dog. On top of his great service, the staff is friendly and their services are very affordable! Thank you guys for being so great!" "Doc Rowland is the very best there is! He really cares about his patients and their owners and the new facility is very nice!!" "Very professional, clean, and caring. The doctor really knew what he was doing amd the office staff was very professional. They did a great job at squeezing us in on short notice and the prices there are hands down better than any place you can go. I wont take my animals anywhere else ever, as long as he is around I will go there." "Dr. Rowland is very knowledgeable and has passion while working with animals. He takes his time with each patient so expect to be waiting past your appointment." "Doc and the staff care about the animals to an extent that's reassuring"
"Works with you till the problem is corrected. My dog has fungus. Took several meds but now it's gone." "I love doctor roland he's so nice and helpful"
"Real people and not trying to trump charges up on unnecessary procedures or tests, etc. Great Doctor and team....."
Wish the staff could be a little friendlier and not so standoffish." "Doc is the best, most caring veterinarian in Joliet. Hands down"